Apple is being tipped to introduce a much anticipated update that brings support for search services from China’s Baidu into iOS next month, according to Chinese reports that cite comment from Baidu staff. As we wrote in March, the two firms are said to have been testing the integration to put the Chinese search giant — which accounts for 83.6 percent of the local market — at the finger tips of iOS device owners in China. Now a Sina Tech report — via MIC Gadget — states that a software update that brings the addition will be forthcoming. The date is said to have been revealed by a Baidu product manager who, speaking at a company event last week, disclosed that the firm had finalised an agreement with Apple to introduce the integration. The move is a logical one for both parties, given that Baidu is so dominant in China’s search space and Apple’s sales in China are going from strength to strength. A tie-up will give Baidu a greater share of the country’s iPhone users — who are the most active on China’s mobile Web — while strengthening the local appeal of Apple’s mobile products. The company recorded profits of $7.9 billion from China alone during the first quarter of 2012, and a Woori report this week found its smartphone market share to have more than doubled to reach 16 percent, thanks to iPhone 4S sales during the period. The move would see Apple take another step away from its dependence on Google. The recently launched iPhoto for iOS, which does not rely on Google Maps, being a prime example of the route it is pursuing; Apple is also working with Microsoft’s Bing and WolframAlpha for search services. China remains a hugely significant market for Google, despite the latter relocating its search engine in Hong Kong in 2008. Its Android devices are dominating smartphone sales, accounting for 68 percent of new purchases in the final quarter of 2012, according to Analysys. Baidu began the year with a focus on developing its mobile strategy and the additional of native iOS support would represent a significant coup, that goes in hand with its new cloud-centric platform ‘Baidu Cloud’. 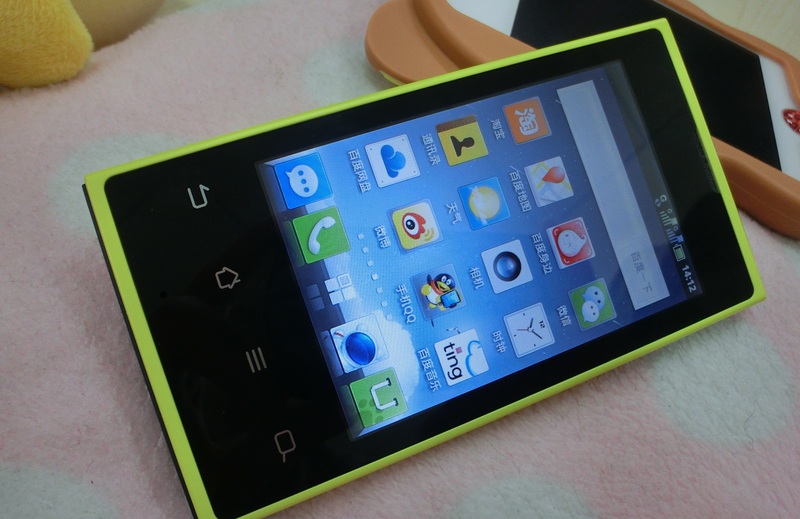 The ‘forked’ Android OS is aimed at providing Baidu’s services to mainstream mobile users. Baidu says the OS will help manufacturers build sub-$150 devices — starting with the Changhong H5018 — and a stronger presence on the high-end iPhone will compliment this focus on affordable smartphones. Apple has already begun localising its key products in China, its ‘Mountain Lion’ OS includes support for QQ, Baidu, Sina Weibo, Youku and Tudou among others. We’ve reached out to Apple and Baidu for comment and will update this post with any new information that we are given. Update: A Baidu representative told us that the company “can’t comment on rumour”, Apple is yet to respond to our request for comment.